Another road trip to Saskatchewan to follow up the work started in August. PCLaw integrations with LDD’s RealtiWeb gains momentum for firms to create efficiencies in reduction of paper and doing more work in less time. 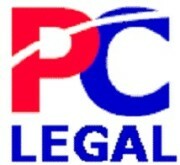 Seeing past PCLaw clients after many years has been very nice to reacquaint again. To be able to offer those past clients and new clients, another excellent solution with RealtiWeb to add value and efficiency in a specific area of law has been very rewarding every time I see a smile and a WOW. It has been my goal to been supportive for all my clients to provide best practice solutions. Such decisions can be daunting with all the decisions required day to day and I hope I can help with that. I like to approach every solution as a managed project so that the process from implementation to successful use of a program does not become overwhelming at any milestone throughout. Providing a timeline and process with consistent support and training are key to your success… and by that I mean, your success is my success as well. Thanks so much! Saskatchewan Lawyers are the Best!